Bartender Adam Bursik, the easy-to-spot, hard-to-miss former bar manager of the now defunct The Library has found a new home at Origin Grill & Bar. 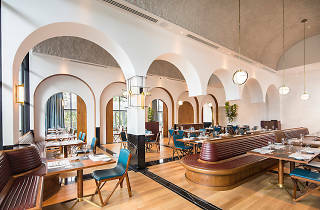 The restaurant-bar is clearly divided for drinking and dining – and when we arrive at 7pm, the bar is bustling with people savouring a cocktail or two before popping in next door to have a proper meal. 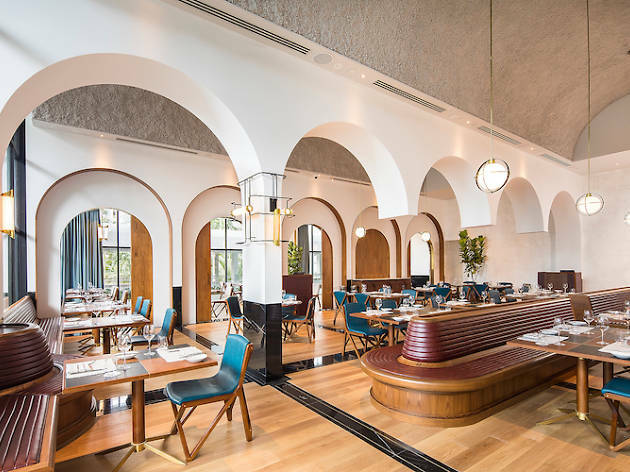 While you could go down that route, let the bar that’s designed to evoke a sense of train travel take you on a journey through Singapore’s history instead. 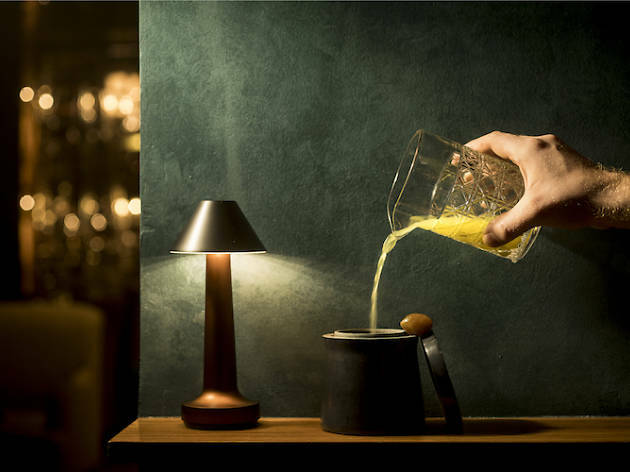 Settle into a booth seat framed by thick velvet curtains and watch as the world passes you by, locally inspired tipple in hand. 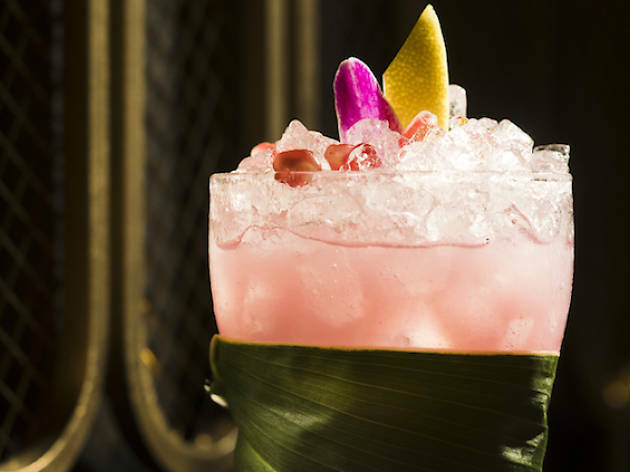 The cocktail menu is divided into five key districts on the island: Orchard, Chinatown, Little India, Boat Quay and Marina Bay, with each section using different ingredients to tell the story of the place. 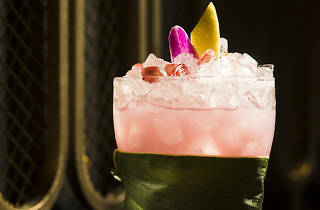 Orchard – a spot once covered with farms and spice gardens before its current life as Singapore’s glitzy shopping belt – features fresh and fruity drinks such as Miss Joaquim ($23), a light and refreshing concoction of orchid, rambutan, pomegranate, sherry and vodka that’s an easy one to start the night. Boat Quay, the hub of immigration and trade, is characterised by a drink named Buona Vista ($23), a nod to the first Italian settlers in Singapore, with its blend of coffee foam and a Campari base slightly sweetened with figs and distilled hazelnut chocolate that adds a bitter and complex finish. And while the balance of some of the other drinks such as Imagination Game ($25), a curious mix of matcha, fennel and pomelo juice, celery bitters and absinthe aren’t quite up to scratch – the absinthe overwhelms and everything else is barely perceptible on the palate – Origin’s menu is novel enough to warrant multiple visits, not only for the drinks but to learn more about our past through inventive cocktails that also look to the future.